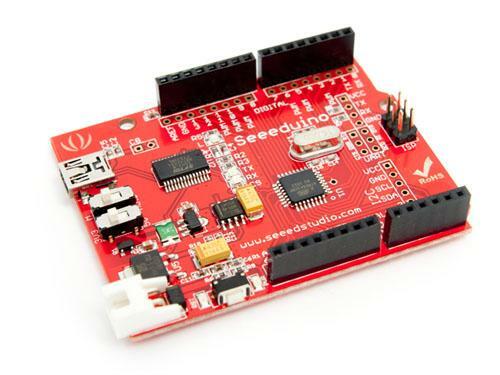 How do I use the Seeduino 328 with the Arduino IDE? What is the use of M_RST_A switch ? 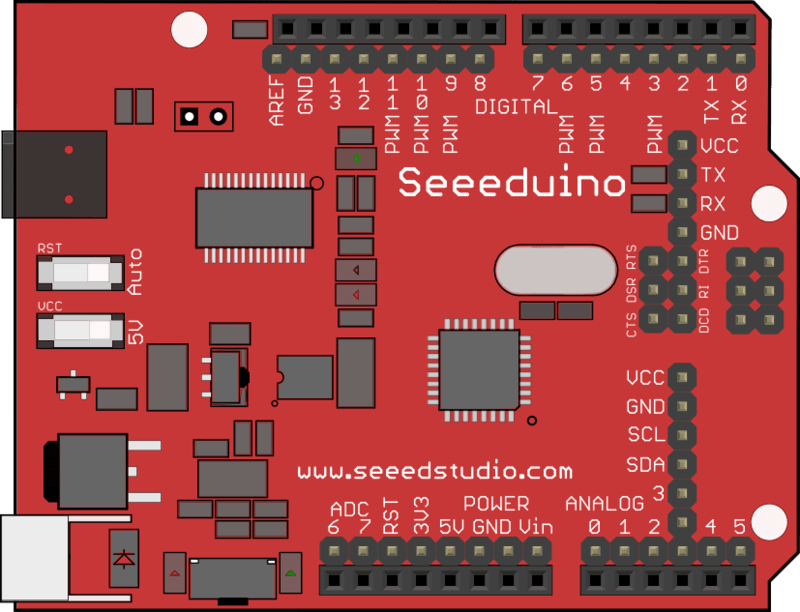 Here is the wiki page for Both Seeeduino V2.21 Atmega 168P and Seeeduino V2.21 Atmega 328P. Answer: Select the "Arduino Dueminalove 328" in the Arduino IDE and also make sure the reset switch is set to AUTO for programming. Answer: This is a non-authoritative (user-submitted) response. The JST connector is connected to a L1117-50 voltage regulator which takes the input voltage down to 5.0 VDC. The L1117 is a LDO (low-drop out) regulator, so it needs a minimum of +1.2 volts over the regulated voltage to operate. In conclusion, you need a minimum of at least 6.2 VDC but more is preferred. The maximum voltage is 15 volts DC for the regulator, however this assumes best-case scenario for the regulator. To be on the safe side with adequate margins on both ends, you should keep the voltage between 7 VDC and 13 VDC. Seeeduino v1.1 1. Fixed bug - unnessesary via on Pin4 wire.2. Fixed bug - Lable mistakenly covered by switches. 3. Added I2C and sensor port.4. Added an 100uF capacitor for vcc switch.5. Grouped new 100mil grid pins.6. Replaced reset buttons with metal ones.7. Rearranged texts and lables for clearer indications. The mini-USB connector can break off the board very easily if you apply sidewise force while a mini-USB cable is connected. Consider using an extension USB cable and refrain for plugging/unplugging the mini-USB cable to/from the Seeduino board very often.